Don’t you just love it when a notification pops up saying that your memory is close to full? As many diet plans go, it’s best to cut out or simply “delete” many of the unwanted things from your mobile device. Whether it’s months’ worth of texts, voicemails, images or data-heavy apps, we must all do our part to keep slim! In this case we will be discussing slimming tips for mobile devices, including iOS and Android smartphones and tablets. Sounds crazy? Hear me out. We have some many devices at our home that storage is a big mess. Our data is huge and its spread all over the place. 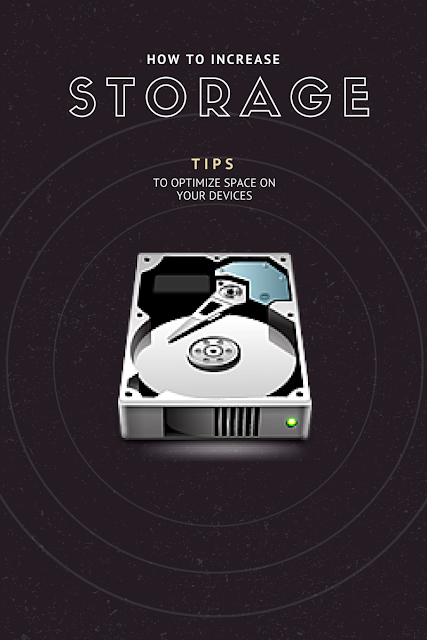 Using a Wireless storage will help you reduce the clutter and clean up your devices faster. You can automatically backup your devices to a home NAS storage which is wireless enabled. This will help you cut down on cables and save you a lot of time in regular dedicated manual backups. 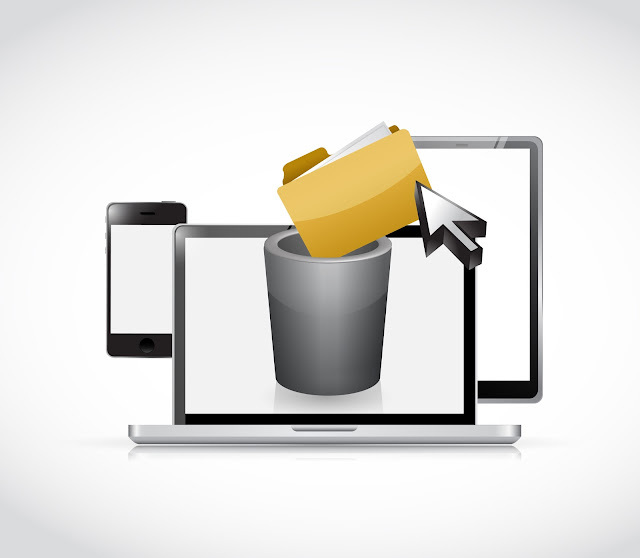 Below are some more tips that will help you reduce or eliminate unwanted data in your devices. Your messages can take up loads of space, especially if you send or receive several photos via text. Luckily, there’s a setting where you can automatically delete older messages. For iPhones go to Settings>Messages and then under “Keep Messages” set it to a year or 30 days, whichever you prefer. You can also delete entire threads and voicemails by opening Messages and swiping left on a thread and selecting Delete, but just like files on your desktop wind up in your recycling bin, voicemails on your iPhone go to the trash after you delete them. So tap to launch your voicemail app and scroll down to Deleted Messages. Here, you can delete discarded voicemail messages that you may have piled up. With Android devices the process is very similar. It’s simply done by heading into the SMS app, pressing on the menu button and choosing Settings. From there, scroll down to General Settings and tick the box for “Delete Old Messages.” This will allow you to choose the text message limit for both MMS (Multimedia Messaging Service) and SMS (Short Message Service). Easy, right? Stop using photo stream, delete unnecessary photos and back up what you want to keep on the Cloud. For iPhone devices, photo stream automatically syncs your images, but you most likely aren’t using the feature. To disable photo stream, go into your Settings and scroll down to “Photos & Camera,” which then you can switch off My Photo Stream. Using a storage source such as Dropbox, Google, or the Cloud can be a great way to transfer and keep photos off your phone while still being able to access them on a whim. Android users will want to clear their app cache. To do this you will want to go to Settings>Applications Manager. Find out which apps take up the most space, choose all or ones specifically, and tap the “Clear Cache” option. What this will do is remove your application’s files that are temporary (and basically not necessary), which then will free up some much needed space on your device. iPhone users will want to enter Settings>General>Usage and then find and choose Safari in the pop-up list, click Edit on the top-right corner, tap the Delete icon before Offline Reading List, hit delete and you’re done! This will delete the unnecessary history which takes up space on your phone. You can also do this within other applications, but browsing is the main source of unwanted “cache data” for iOS devices. You can delete unnecessary files and applications or move them to another source, like an SD card or, like mentioned previously, free online storage platforms such as Google, Dropbox or the Cloud. If you’re using the same applications on multiple gadgets such as a computer, smartphone or tablet for instance, use the app on the devices that are the most user-friendly. Then you can delete the app on the device that’s the least user-friendly. For example, an application may perform better on desktop, but not necessarily on a mobile device (and vice versa). You may also utilize third party tools to help do the grunt work for you. Several applications can help you save space and maintain a healthy storage rate—just make sure you download one that doesn’t take up more space than you are trying to save. Check out your app store and read the descriptions and reviews to help better choose the right tool that’s going to be the best for your device and overall functionality. We found some really useful Youtube videos that can help you make best use of your device space. Below play list has easy to apply how to videos that can help you reduce clutter on any device type. Now just like many diet and nutritional plans, the goal is consistency. You keep up with the cleanup and the storage will stay low, leading to less annoying notifications. With all of the various strategies to decrease wasted space, the objective isn’t necessarily how you do it, but more so that you do it. With the higher consistency rate you are with saving space, the more space you will save. It’s as simple as that! John Rokos, I’m the Founder, CEO, and Product Architect at Enemy Tree, LLC, a technology-based startup whose first product, the Mosaiscope app, a News Reader focused on reshaping news media distribution, discovery, insight and sharing. Previously, I spent nearly six years at Tesla Motors leading teams and internally innovating in areas like operations, sales, delivery, customer service and marketing. This created an even deeper passion for startups and gave me a profound appreciation for the incredible people who sacrifice so much to make a product and company great. I have always had a deep passion for quality, design, great products and world-class user experiences, as well as how the intersection of technology and liberal arts can enrich all of our lives. I look forward to putting these extensive interests, passions and skills to use in many products to come.